Can you tell me why this is happening? My customers are getting frustrated. Also, if I'm a silver member, why is the banner for Jotform still posting after the submit button in pushed? 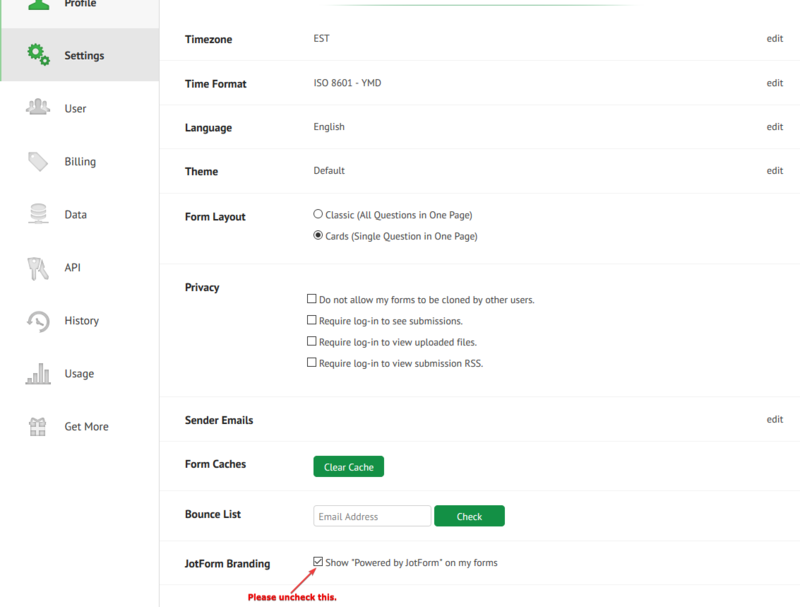 Then please uncheck the "Jotform Branding"